Self-Propelled Lawn Mowers - How Do They Work? Ever wonder how self-propelled lawn mowers work? Wonder no more. Self-propelled lawn mowers work on a drive system (making them vehicle-like) that requires the operator to squeeze a bar (called a "bail") on the handle to engage the mower, after which the mower moves forward on its own (you don't have to push it). That is, squeezing this bar not only causes the cutting blades on a self-propelled rotary mower to begin Self-propelled lawn mowers work on a drive system (making them vehicle-like) that requires the operator to squeeze a bar (called a "bail") on the handle to engage the mower, after which the mower moves forward on its own (you don't have to push it). That is, squeezing this bar not only causes the cutting blades on a self-propelled rotary mower to begin spinning but also causes the mower, itself to take off -- all you have to do is control the direction in which it goes. If you release your grip on the bar, the mower shuts off (but see below for an exception): it stops moving, and its blades stop spinning. This is a safety feature that is more or less the norm nowadays. 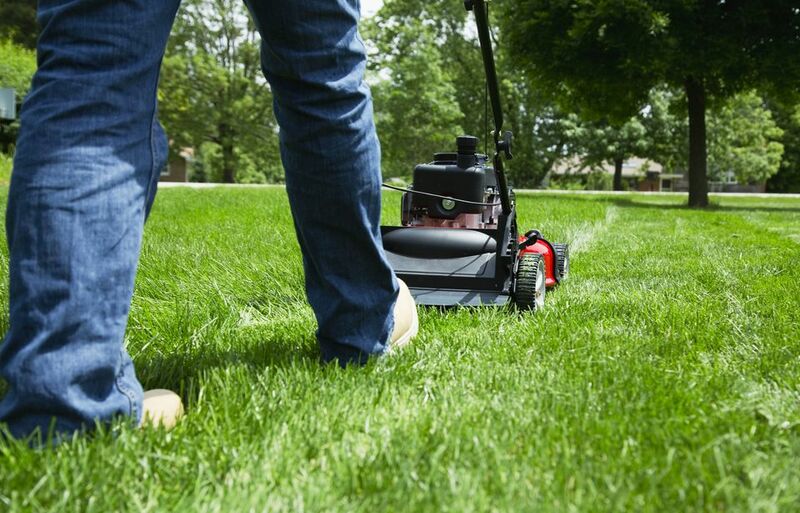 It is a safety feature that is present even on mowers that are not self-propelled. For example, I can't start up my battery-powered push mower unless I'm holding down the bar on the handle. If you were to slip and lose your footing, there's less chance of spinning blades coming into contact with your body. If you were suddenly to spot a potential hazard of any kind, you wouldn't have to fiddle with a switch to try to shut the mower off: all you have to do is release the bar. It lets you transport the unit from point A to point B effortlessly but without cutting grass along the way. You don't have to restart the mower every single time you release the bar to move something out of your way, swat a mosquito, or sip on that lemonade beckoning to you from your patio table. Research the various types of lawn movers on Consumer Search. Should I Buy PivoTrim and PivoTrim PRO String Trimmer Heads?